This guide provides an overview of how to connecting to Neo4j from Python. While it is not comprehensive, it aims to introduce the available drivers and links to other relevant resources. You should have installed Neo4j and made yourself familiar with our Cypher Query language. We also recommend installing and becoming familiar with both pip and virtualenv before working on a Python project. Neo4j can be installed on any system and then accessed via its binary and HTTP APIs. You can use the official binary driver for Python (neo4j-python-driver) or connect via HTTP with any of our community drivers. The Neo4j Python driver is officially supported by Neo4j and connects to the database using the binary protocol. It aims to be minimal, while being idiomatic to Python. Support for Python 2 will be removed in the upcoming 2.0 release of the driver. result = tx.run("CREATE (a:Greeting) "
"SET a.message = $message "
For anyone working with Python, the Neo4j community have contributed a range of driver options. These range from lightweight to comprehensive driver packages as well as libraries designed for use with web frameworks such as Django. While Python 3 is preferred, some drivers still support Python 2, please check with the individual project if you need it. While we do not provide a specific web framework recommendation, both the lightweight Flask and the more comprehensive Django frameworks are known to work well. Many Pythonistas have invested a lot of time and love to develop these libraries, so if you use them, please provide feedback to the authors and help us improve. 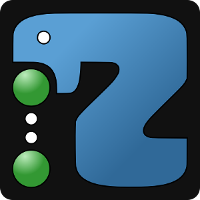 Py2neo is a client library and comprehensive toolkit for working with Neo4j from within Python applications and from the command line. It has been carefully designed to be easy and intuitive to use. An Object Graph Mapper built on top of the Neo4j python driver. Familiar Django style node definitions with a powerful query API, thread safe and full transaction support. A Django plugin django_nemodel is also available.